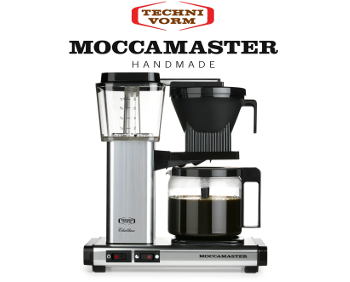 Technivorm-Moccamaster coffee makers are handmade in the heart of the Netherlands at the Technivorm factory. 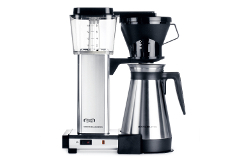 These unique coffee makers are rigorously tested for perfection and made with recyclable or fully degradable materials in their manufacture. 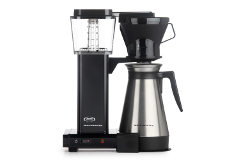 What makes Moccamaster special is it's brewing temperature. Utilizing separate heating elements allows optimal temperature for both brewing and for the hotplate. The water/coffee integration time is quick to give you a perfect cup of coffee every time.